New technologies and international trade have been disrupting jobs for some time. Now automation and global competition will do the same thing to Western services industries, Richard Baldwin argues in “The Globotics Upheaval”. Dysfunctional democracies are ill-prepared to cope. 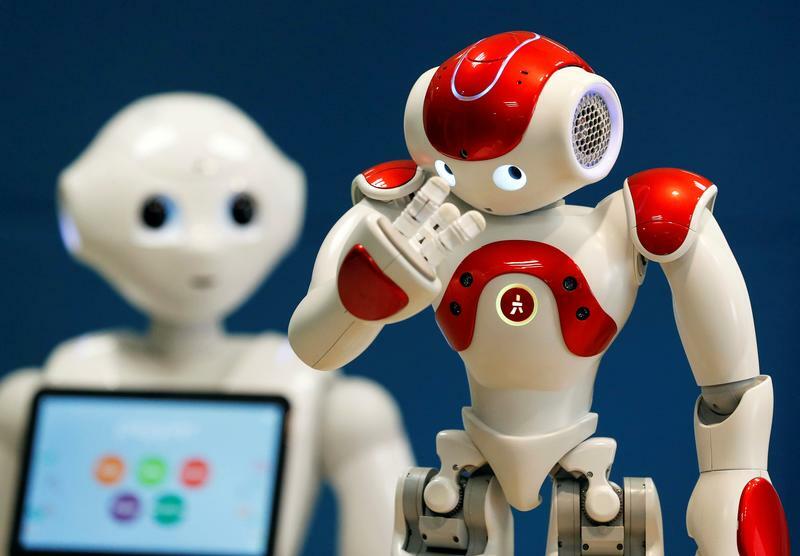 SoftBank Robotics Robot Assistants Pepper (L) and NAO (R) are pictured in Paris, France, March 9, 2018. Picture taken March 9, 2018. “The Globotics Upheaval: Globalization, Robotics and the Future of Work”, by Richard Baldwin, is published in the United Kingdom by Weidenfeld & Nicolson on Jan. 24, and in the United States by Oxford University Press on Feb. 8.